We will never take her smile for granted! We tried for several years to get pregnant, fertility treatments were our last hope. Finally, our prayers were answered and God blessed us with our son, Noah; our amazing little man. We were so excited. 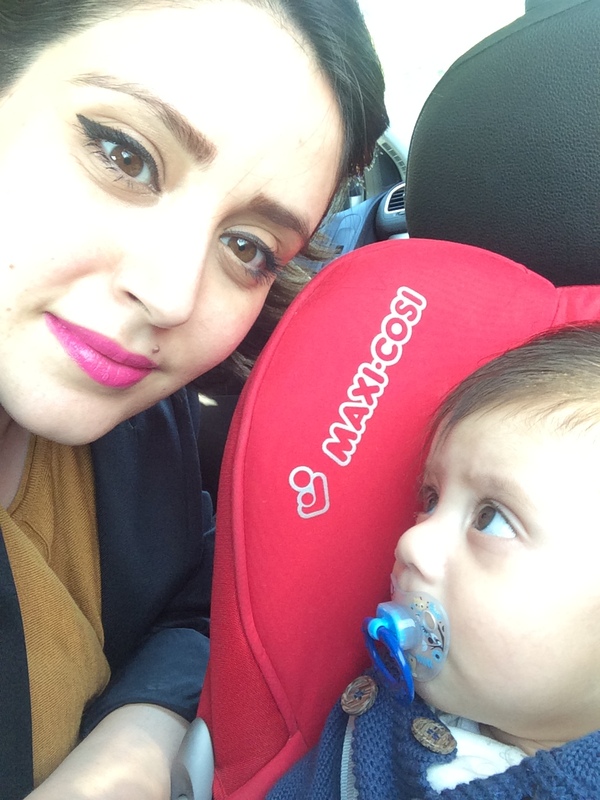 We never thought we would get pregnant without fertility treatments. However, God had a different plan. A few years after the birth of Noah, our miracle baby arrived, Molly. She was a beautiful, healthy baby girl! When Molly was six and a half months old, we started to notice how she was making peculiar movements. At this time, my husband was working out of town. Molly began to scream and cry and act as though her stomach hurt. 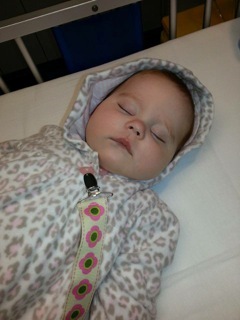 During this week, we went to the Children’s Hospital twice and her pediatrician’s office three times. Each time the doctors would run a series of tests. Every time the tests came back normal and nothing was concluded. We were sent home with various medications for stomach aches. Yet, I knew something was wrong; something was wrong with my baby and no one would believe me. In 2014, on Christmas Eve night, my husband made a comment that I truly believed saved our little girl. He said, “I hope it isn’t neurological.” We immediately went to the internet and Googled “neurological spasm.” A list of websites and information appeared before us; some of them videos titled “Infantile spasms, seizures.” The more we watch and read the more we were convinced this is what our precious daughter was suffering from these vicious spasms. The suggestions were to see a neurologist as soon as possible. 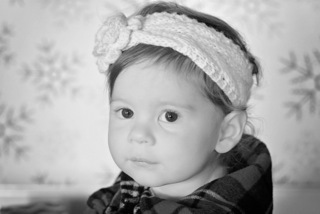 So, the day after Christmas we called her pediatrician. They sent us directly to the Emergency Room. 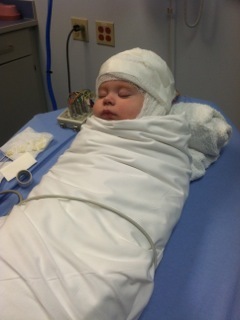 Doctors were finally beginning to listen to us and an EEG was ordered. It was later confirmed, she was having infantile spasms (seizures) with hypsarrhythmia; a catastrophic form of epilepsy. She was having up to 300 seizures a day. From there, we were admitted to Children’s Hospital in Knoxville. Molly had an MRI scheduled for the following day. Tubers/tumors were found on her brain. Our sweet baby was diagnosed with Tuberous Sclerosis Complex (TSC). Our world had been turned upside down for weeks, but now, now there were no words to express our emotions; we were numb. Molly was put on a medication to help with the seizures and it didn’t work. 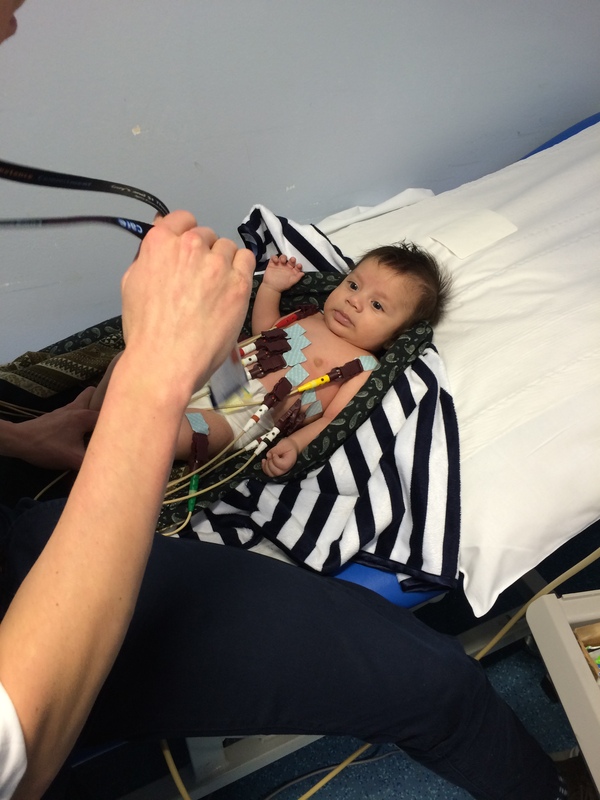 We then went to Birmingham and saw a pediatric physician who specialized in TSC. They placed her on another medication that we had to inject into her through a shot. While on this medication, Molly lost her sweet and innocent personality. My seven month old baby no longer engaged with anyone, smiled, or played; instead she was lethargic…my heart was broken! 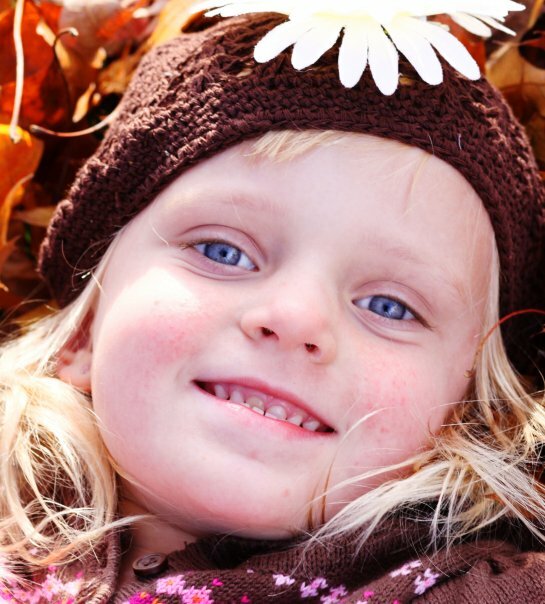 After time, we found the correct medications and gained control over her seizures. Molly gained her smile back and started to flourish. She was seizure free for four months! I remember driving home one night in July and being so happy and grateful at how well Molly was doing; how much she had overcome! Then, that very next day, my fears resurfaced. Molly began to have complex partial seizures. It was starting all over again! Over that past eleven months, Molly tried several different seizure medications. They have helped, but we still do not have complete control over her seizures. Currently, Molly is on four different seizure medications, she has physical therapy, occupational therapy, and speech therapy weekly. 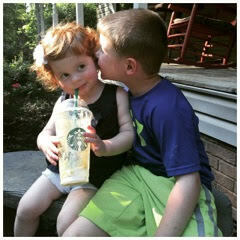 If you look at Molly, you see a beautiful, almost two year-old, red headed toddler. She is amazing and an inspiration. Molly’s vocabulary is currently limited; however, she has no problems making her point clear and letting you know what she wants. Her personality is one of a kind. She currently has brain, heart, and skin involvement. Although, we don’t know what tomorrow may bring, we are thankful for each second! We will never take her smile for granted! Even though Molly may face more challenges and obstacles in life, we will continue to stand by her and help her grow and fight for a cure! Although Molly may have a disability, her disability does not define who she is. For 15 years, my normal consisted of all things BOY. In 2014, remarried with now a fourth son, and pregnant with a girl, I knew that my normal was going to change significantly. Everleigh Sophia was born on December 5, 2014, after 41 weeks of an uncomplicated pregnancy and about 10 hours of beautiful labor. This pregnancy, so unexpected, and belated, worried me, but by the time my gorgeous girl appeared, my worry took a backseat to my joy. I was so grateful to have this experience again. Evie arrived into a room full of eager family. 7lb, 5oz with all 10 fingers and all 10 toes. Perfection! Everleigh was wonderful and distinct. Nothing about my experience with her felt normal from day one. My mommy instinct kept telling me that something was “off” but I couldn’t put my finger on it. I’d express my concern to anyone that would listen but kept hearing that I was used to boys and this girl was bound to be different. She seemed so restless and irritable, so nursing was a challenge to say the least. She made strange, unfamiliar noises that we jokingly referred to as her “growl”. She also looked dramatically to the side (first right and then left) & fluttered her eyes often. We again joked…”she’s a diva”, “already stubborn, refusing to look us in the eye”. Was this all normal baby stuff? Had it been so long that I’d forgotten? Evie was nine weeks old and I was unable to shake my unease. My gut wasn’t just telling me there was a problem, it was screaming at me. No doubt, I was trying everything. I was a slave to google. I made numerous calls to lactation consultants. I took her for extra visits to her pediatrician. I visited another “holistic” pediatrician some miles away (who performed a frenectomy of her upper lip and tongue in an attempt to improve what might be the cause of her breastfeeding problems). We had multiple pediatric chiropractic appointments (to treat what was believed to be torticollis). Each time, I would be reassured that these were “normal” baby issues and each time I would go home to the continued feeling that we were missing something. I sat staring at my sweet girl, crying, and that’s when I began putting all of the behaviors together. I suspected seizures. It took a couple of days to completely convince myself and my husband (who was now getting used to coming home to hear my “freak out” about Evie’s behaviors of the day). 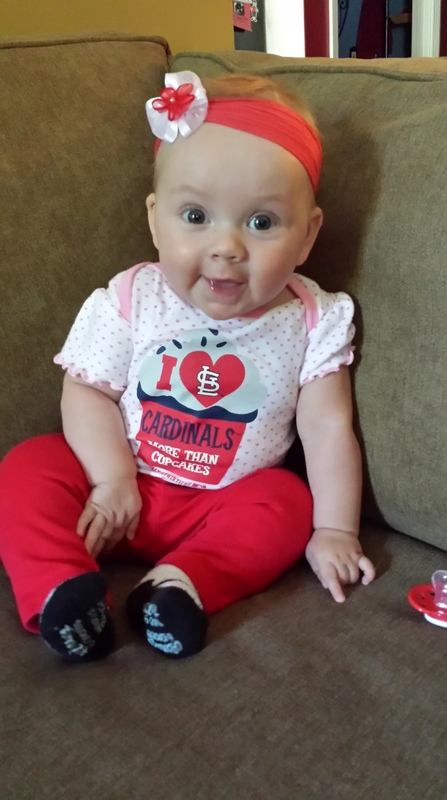 We nervously went to our pediatrician on February 11th, and after she actually witnessed the “behaviors”, we were promptly sent to St. Louis Children’s Hospital. The ER doctors agreed that it was seizure like activity. Could she possibly have an infection? I was almost excited. That must be it! She lives with 4 hygiene deficient boys. Simple explanation! An acute infection that has caused some seizures. We can treat it and move on. The ER staff drew blood, performed a spinal tap, started antibiotics and asked us a thousand questions. They gave her Ativan and almost immediately, the seizures stopped. A CT was suggested just as a precaution. We accompanied her and then waited for answers. Only moments later, a nice young doctor entered the ER room to tell us that he had preliminary results. This is when my normal exploded into a thousand pieces. I heard what must be two of the most feared words a parent could hear, brain and tumors. It all happened so fast. I felt sick, dizzy, confused. We were told that the tumors were benign and most likely due to a genetic disease. Something like tumerous? tubulous? scler something?? Evie would be admitted for more testing to confirm. I wasn’t even quite sure what he had said. He exited the room and I sat dumbfounded. The next two days were a whirlwind. Evie had more tests than I’ve had in my 43 years of life. An echocardiogram, EKG, EEG, Brain MRI, Abdominal MRI, and general X-rays. The diagnosis was confirmed. It was a rare genetic disorder; tuberous sclerosis. We were told that our daughter had “multiple brain tumors…too numerous to count”. The tests revealed five tumors within her heart, multiple, small tumors in both kidneys, along with the tumors in her brain. We were given some informational pamphlets and told that there are varying degrees of the disease and there is no way of knowing how Evie will be affected. Our job was to go home and give her a daily anti-seizure medication and monitor her. Seriously? Monitor what? I wanted to ask what to expect, but they had already said there is no way of knowing. I glanced at the information but honestly didn’t want to know the possibilities. What’s the point? I didn’t want to spend any time worrying about what might be. We went home and it was like a miracle. Our irritable, uncomfortable baby was now much calmer. The seizures were gone and nursing was improving. She still had her quirks, some rigidness, and a left gaze, but I could deal with that. It wasn’t so bad. I decided that everything was going to be fine, if anything, better than before her diagnosis. I went into a state of blissful denial. And then it began again. Two weeks later, the seizures returned. It felt like a slap in the face. This was followed by more doctor visits, an ER visit, med adjustments, and finally another hospitalization before the seizures finally stopped. My bliss disappeared. Maybe it was time to educate myself. I obviously hope for a mild case for Evie. She’s had more seizures, but I am now educated and somewhat prepared. I will not allow TSC to take another cheap shot at me. I’m smarter and stronger. I’m tapping into all of the resources available and going to bed each night knowing that I’m doing everything that I can. I’m definitely “on the lookout” which no doubt makes me seem a bit more nervous than usual. But, I’m also much more aware of the beautiful moments in each day. My eyes are opened wider. My love feels deeper. I’d like to think that I’m becoming a better mom to all of my children. I never would have thought that my normal would include a seizure diary, daily medications, weekly therapy appointments and discussions of MRI results. Of course, I never expected to see my boys nuzzling with their baby sister or hear them talk sweetly to her while she admiringly coos. I feel blessed to experience this new normal. We have two children. An older daughter Robin who is 11 (non TS), and Remy, who just turned three. 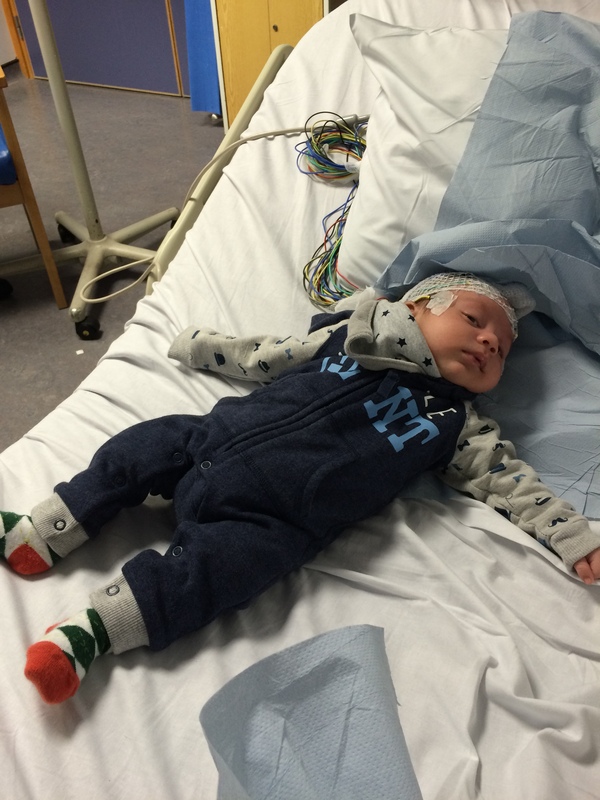 He started having strange episodes at 4 months old that were later identified as seizures. He was officially diagnosed at 10 months old after having up to 14 seizures a day, and they did an MRI and found multiple tubers — over seven so far. They then did an echo and found he had three heart tumors, and has multiple ash leaf spots on his skin. 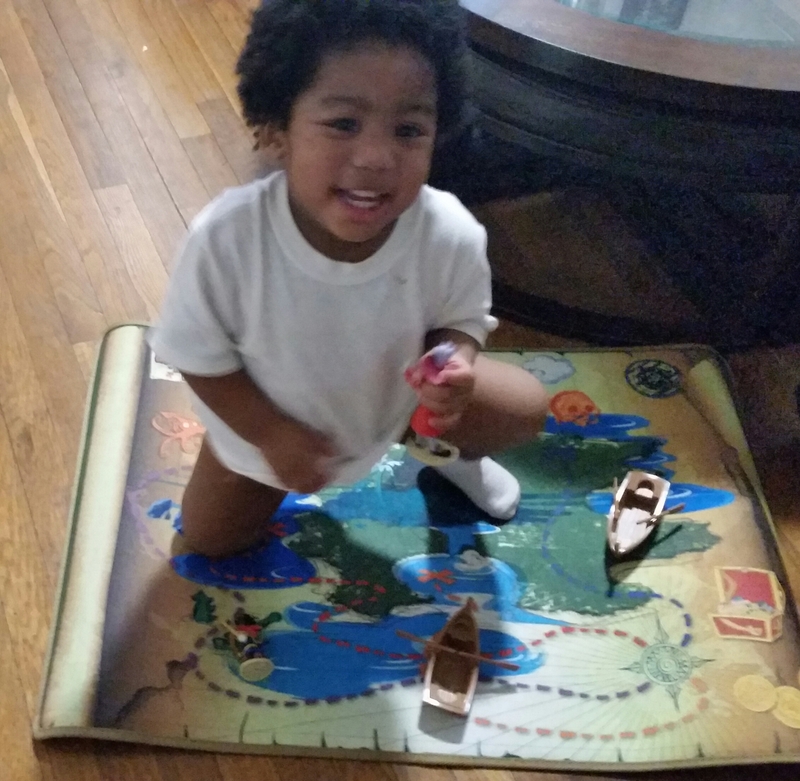 He started having a speech regression at age 2 and we are working with speech therapy to help him. He also has some behavioral outbursts of frustration, maybe because his verbal communication is difficult, or his TS in general, or because, well, he’s just 3 LOL. Remy is a loving sweet boy. He is empathetic to others’ feelings; he will cry at sad moments in movies, and cry along when others are sad. Yet he will still smack someone if they make him mad, but he will feel bad and give hugs. He is super smart, can do most complicated tasks and things at and above his age level. He plays most things safe, but is quite a fearless daredevil when it comes to physical activity. He is a ball of energetic energy, although his seizure meds make him easily tired, need breaks during the day and a take a long nap. 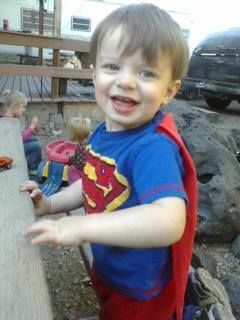 He is a strong little man and will conquer his condition; he is our superhero. Doctors informed me he would need a wheelchair…imagine my surprise when he took his first steps. 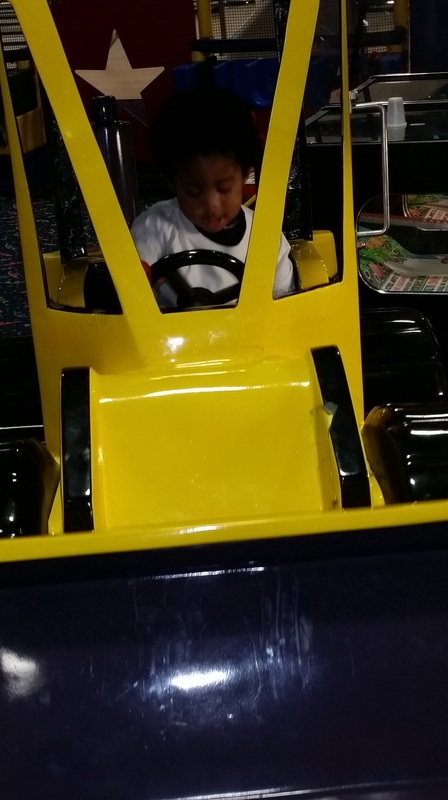 Massiah was diagnosed with tuberous sclerosis complex during utero or fetal development. 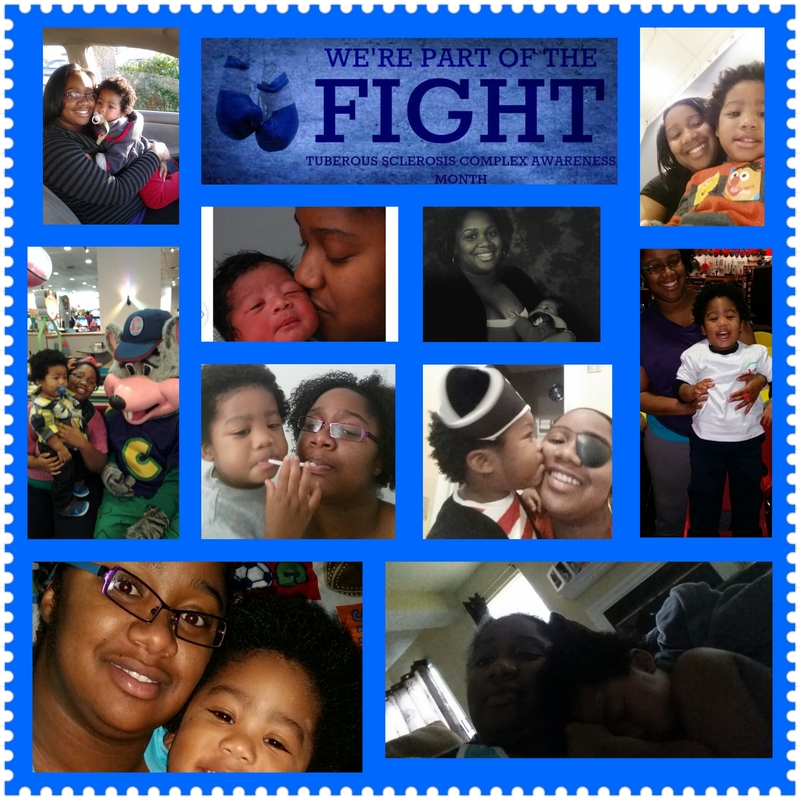 My Warrior was born with tumors on his brain and in his heart. He also has tumors behind his eyes and cysts on his kidneys. He started having seizures at one week. 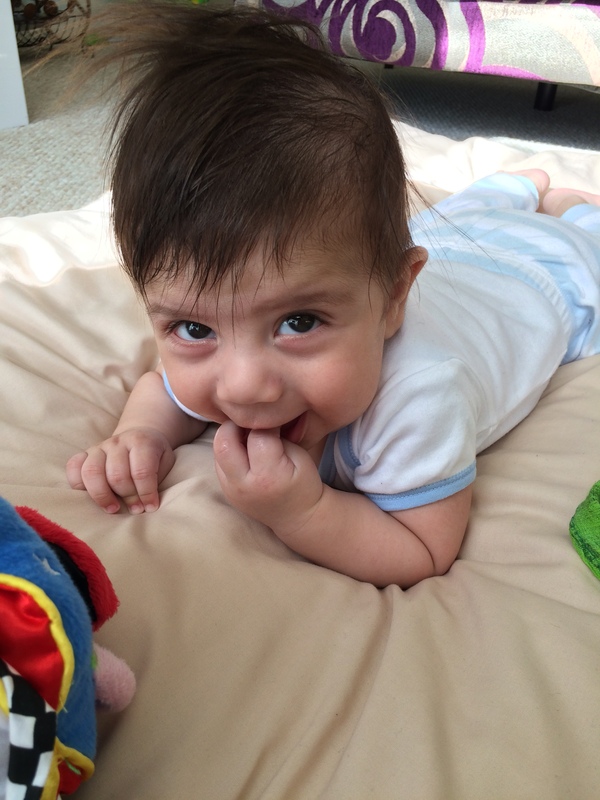 At six months, he was diagnosed with epilepsy. At 17 months, he was diagnosed with complex partial epilepsy with generalization, generalized convulsive epilepsy with intractable epilepsy and tuberous sclerosis complex. His current diagnosis is partial symptomatic epilepsy with complex partial seizures, intractable, without status epilepticus, infantile spasms with intractable epilepsy and tuberous sclerosis complex. He may have anywhere from one to 18 seizures a day while taking medication. His current medications include Trileptal and Depakene three times per day in addition to Sabril twice a day. He takes diastat acudial when needed for emergencies. He will soon be taken off Sabril and start Onfi. He will also be taken off his other meds one at a time depending on his seizure control. His current neurologist at A.I. Dupont Children’s Hospital, has discussed the Ketogenic diet, Topamax, vagal nerve stimulator, ACTH and Banzel. He was on Keppra but needed to be taken off due to aggressive behavior. 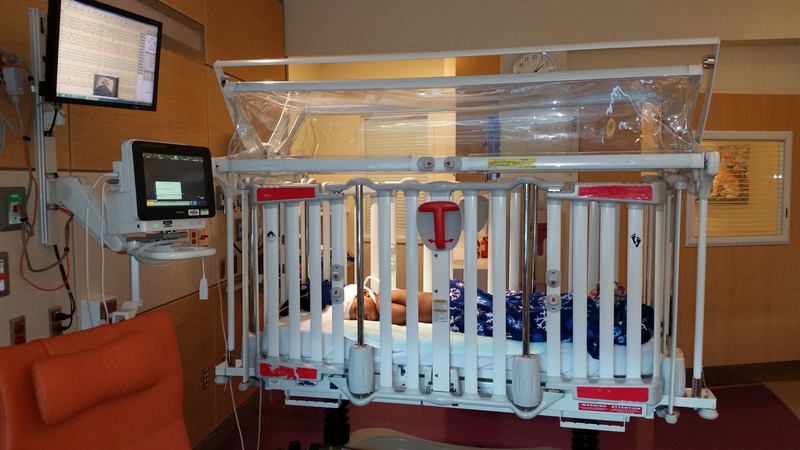 He has gone through numerous EEG/VEEG, MRI, CT and PET scans, sedations and ultra sounds. 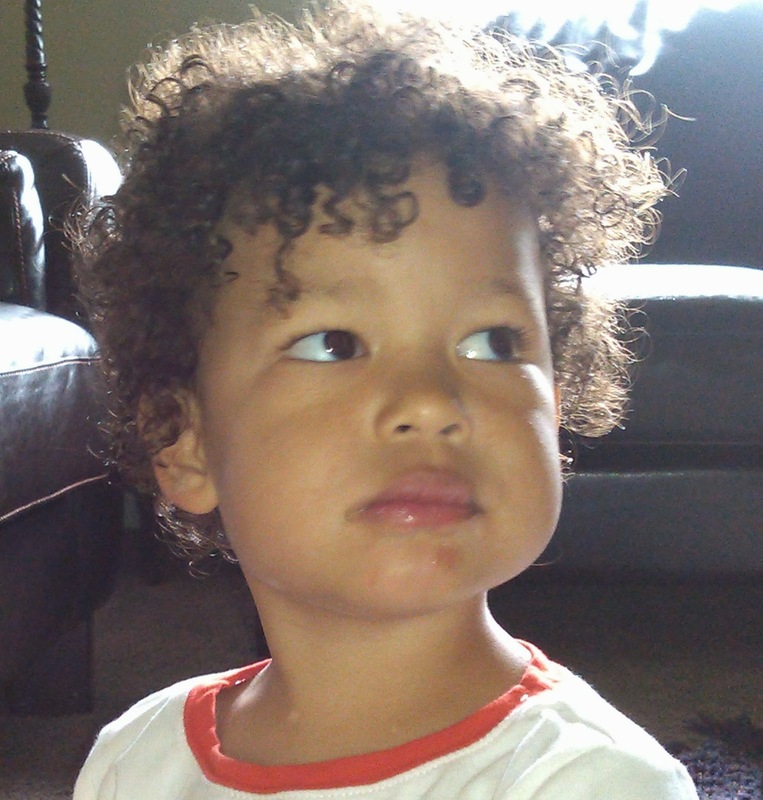 Massiah has developmental and physical delays. I was told that he would be mute and mentally disabled due to the amount of white brain matter, tubers, and tumors on his brain. Doctors also informed me that he would need a wheelchair due to low muscle tone throughout his body, especially his legs. So, you can imagine my surprise when he started crawling and taking steps. Also, imagine my surprise when he said mom for the first time on my birthday; just weeks before turning one himself. Massiah receives aid from an early childhood educator, behavioral, physical, occupational, and speech therapist. He just completed the shapes puzzle by himself after working on it for over a year and now says 60+ words. Massiah is very active and energetic. 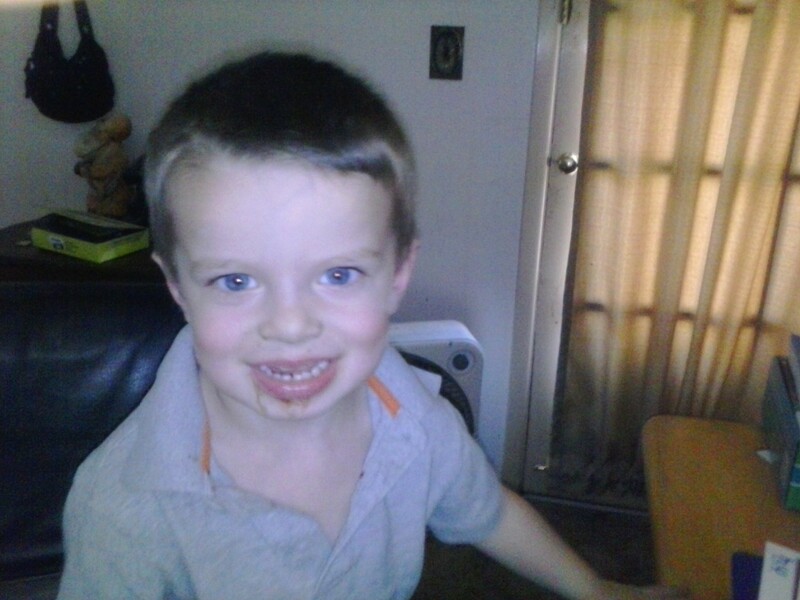 He enjoys Jake and the Neverland Pirates and Mickey Mouse, legos, cars, air planes and throwing balls. His favorite movie is Disney’s Cars. I had a pretty normal pregnancy; all of our scans and tests showed that our beautiful boy was growing normally and we had nothing to worry about. Our 36-week scan would be our last chance to see our boy before he made his big entrance into the world, so we were very excited. Little did we know that November 13, 2014 would be the day that our world would come crashing down. “I see a tumour in the baby’s heart. I am going to ask a doctor to come in to double check,” said the sonographer. Within 10 minutes I had four doctors in the room, confirmation of several tumours and a probable diagnosis of tuberous sclerosis. I had the legal right to terminate, mental retardation, epilepsy all thrown at me by the doctors and I couldn’t utter a word. But inside I was screaming. This wasn’t happening to me; any minute now someone will say a mistake has been made, but unfortunately that minute never came. 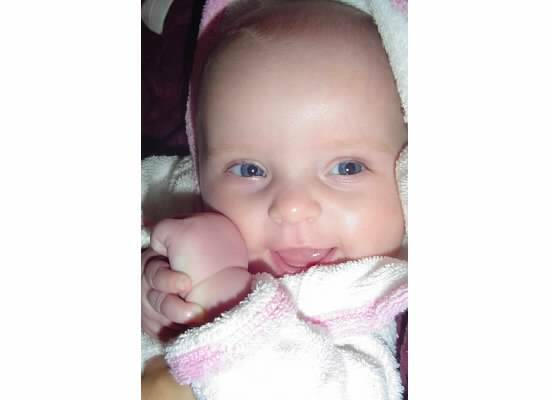 The following week a fetal MRI showed brain tumours and a tuberous sclerosis diagnosis was confirmed. I spent the next four weeks reading everything I found on the internet about TSC and I cried like I had never cried before. My heart ached for my baby, and it ached for my husband for losing the normal healthy son he was so looking forward to having. I resented every healthy baby and all the mothers that would never experience this overwhelming pain. Most of all I hated myself for being healthy but carrying a baby that had a disease that had no cure. Eli was born on December 15. We had accepted his diagnosis and had great hope that we might be one of the lucky ones and his case would be a mild one. Once again God had other plans for us. 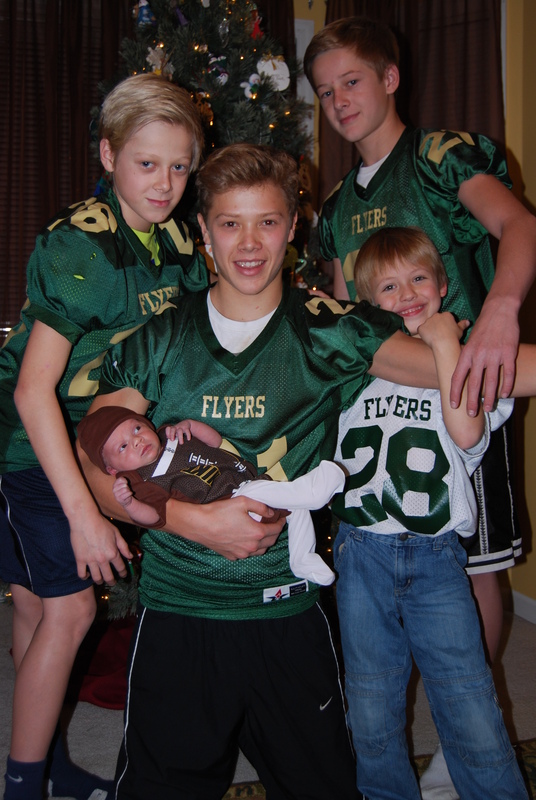 Eli started having seizures from birth. Doctors gave us worst case scenarios and told us that the likelihood of Eli being a severe case was high as he presented with seizures so early on. That night I begged God that whatever Eli ends up with, please don’t take him away from me. To this day I refuse to ask the question about his life expectancy. Eli is now 4 and half months old, we are at the beginning of our journey and the road ahead of us is long , there are many uncertainties that lie ahead.My heart breaks a little more with every test Eli has. People tell me that I’m strong but I don’t see what other choice I have. My son needs me to be strong for him. He needs me to fight this disease and not give up. With every milestone that Eli meets my heart soars with happiness, but at the same time a crippling fear overtakes me; one big seizure and he could lose it all. One night when I felt nothing but despair, a mother of a TSC child told me to take it an hour at a time and not think too far ahead. At times I catch myself looking at young boys out and about and wonder if my Eli will be like them? Will he ever talk, walk or have friends, but then I have to stop myself and come back to the here and now. My boy smiles at me when he wakes up in the mornings and for that I am eternally grateful. “If you spend too much time waiting for the storm, you’ll miss the sunshine.” A wise quote to live by, though easier said than done when battling a chronic illness. Realistically, with the tribulations of tuberous sclerosis complex it does feel like you are always waiting for the other shoe to drop, waiting for the train that’s about to hit you or walking through a land mine. Our journey with TSC officially began one decade ago today, 05/05/05. Cinco De Mayo is the ultimate celebration in the United States and Mexico. A day observed to commemorate Mexican army’s unlikely victory over French forces. For the past decade Cinco De Mayo has carried a new meaning for me and my family. On May 5th, 2005, our precious daughter Kierstin Gabriella was born….with tuberous sclerosis complex. May 5th now marks the day we officially entered “The TSC Club.” The dreaded diagnosis that we truly feared that may just become our reality. Cinco De Mayo has truly been a bitter-sweet day for the past ten years. I can clearly recall the cardiologist trying to gently explain Tuberous Sclerosis to this very pregnant mom-to-be for the first time ever hearing those words uttered. Though his English was broken, the one thing that was abundantly clear in any language were his words “we hope it is not Tuberous Sclerosis. This is a very grim diagnosis.” The words “brain tumors, heart tumors, kidney tumors, mental retardation and there is no cure” were also communicated rather clearly. When leaving the hospital, while nearing the elevator I witnessed a mom pushing her infant daughter in a stroller. She began lifting her in the air and playing peek-a-boo with her to the point of the baby belly laughing. I suddenly became weak in my knees and collapsed right there on the floor at over eight months pregnant. It suddenly struck me that we may never have this with our baby girl or may never experience the privilege of hearing those belly laughs. How could this possibly be happening to us and to our precious daughter that we longed for years to have? We had so many hopes and dreams for this little one and all those dreams seemed to be suddenly shattering with just one sonogram. I think at that very moment I knew in my head that she had TSC, yet my heart wasn’t willing to accept it. The next month is a complete blur as we prepare for the unimaginable while still holding onto a small shred of hope that they might be wrong. Essentially, May 5th doctors confirmed what we dreaded and the medical journey which was filled with much uncertainty began. She was induced with the anticipation of open heart surgery given large rhabdomyoma tumor growth. 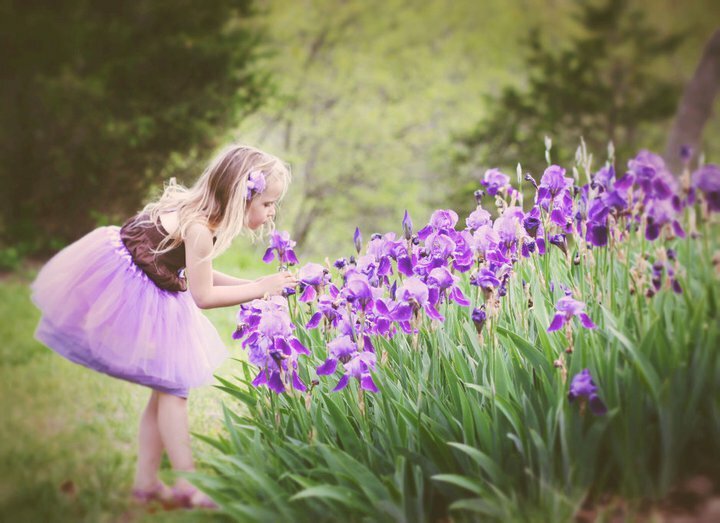 Though her heart was more stable than initially expected, we quickly received the dreaded diagnosis of TUBEROUS SCLEROSIS. All of her organs were affected with tumors at birth. We were devastated beyond words! A short glimpse of the journey begins with evaluating every organ by a new “ologist.” Countless appointments, numerous medications, relentless seizures, years of therapies, multiple hospitalizations, brain surgeries and weeks and weeks and weeks advocating and educating about this diagnosis that I have quickly become an expert on is what our “new normal” consisted of. No one imagines their baby struggling to reach the most basic of milestones like rolling over or sitting up. Who plans their family vacation destination in conjunction with medical appointments with specialists from across the country? Every parent of a child with special needs grieves their child’s diagnosis at one point in time. I remember silently crying in the shower in the mornings, so that no one would hear me. I am ashamed to admit that I have never completed Kierstin’s baby book. Every time I would try it would be a reminder to me that she had not met any of her first year milestones, or if she did, briefly she would lose the milestone with the next seizure. If I knew then what I know now, I would definitely have spent more time in the sunshine and less time waiting for the storm. “The storm,” which was more equivalent to a never-ending roller coaster ride with some of the most gut-wrenching twists and turns you can imagine, has taught us how to live in constant chaos and crisis so to speak. This journey and particularly Kierstin has taught me more about life than anything else I have ever experienced. Throughout the years I have had dozens of people say “You are such a strong person, this must be why you were chosen to be Kierstin’s mom.” Being strong is the ONLY option. 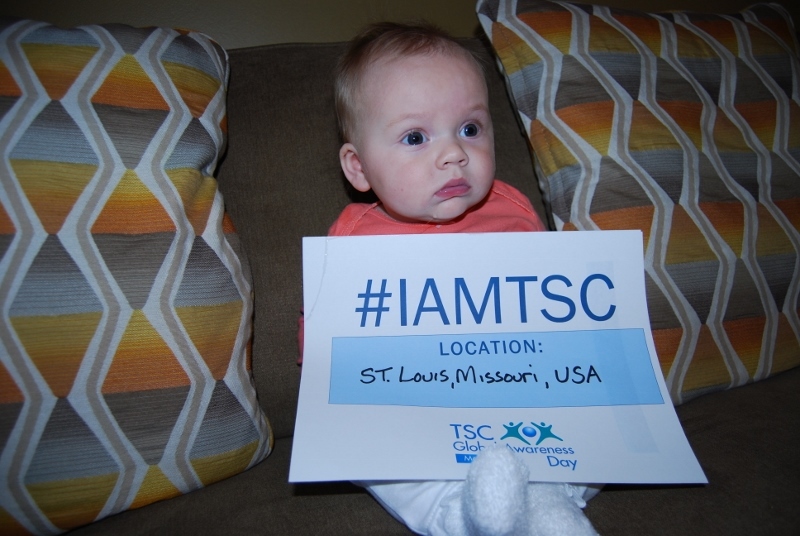 We refuse to allow TSC to define our daughter, but more importantly SHE refuses to let TSC define her!! Kierstin has taught me unconditional love to a higher degree than I ever thought possible. Though my dreams of having my first born daughter are much different than today’s reality, I have so much to be thankful for. This journey with TSC is not quite the journey of my dreams; though Kierstin is the daughter I have always dreamed of!! This year we celebrate Cinco De Mayo thankful for God choosing us and mostly trusting us to be her parents. We are eternally blessed and thankful for this privilege of meeting our hero on May 5th of 2005. Many people dream of someday meeting their hero, but fortunately I gave birth to mine!! So after a decade battling TSC, Cinco De Mayo is now my day of celebrating my HERO!! Enjoy the sunshine, forget about the storm. And Always Remember: We Will Give Everything! But Up!! You ruthlessly descended on our first born son, changing the trajectory of his life. How cruel you can be, filling our lives with calamity. Because of you, our son endures severe autism and ADHD. We are constantly guessing when he’s in pain, he cannot speak. We never know what you will do next. A new surprise challenge lurking around every corner. 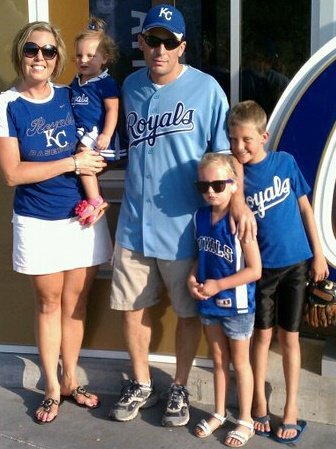 Brain trauma, kidney bleeds and maybe failure. Will his heart stop beating? Or will he go into status epilepsy? You are unrelenting, unforgiving, you see? Controlling every single moment we breathe. We are slaves to all your twists and turns. To make quick trips to the grocery store. Or any item overlooked in our house. Or, it will end up ruined, destroyed, thrown about. The financial burden you inflict is enormous. You wreak havoc in every aspect of our lives. You make us play a constant guessing game. We don’t sleep. We are never at peace. You demand all our time and energy. I fear shutting the door when I lay my son down to sleep. Fear driving our days and nights. Every out-of-the-ordinary move could be a sign of something big. Have taken our free will. I despise you. You inflict so much pain: emotional, mental, physical. As you demand all our time and energy. You leave us isolated. We feel so alone. No sure answers or solutions. Even professionals don’t know how to help. And leave us feeling like no one understands. Yet unlike cancer, you leave no possibility for a cure. Unlike diabetes and heart disease, there is no way to proactively manage you. As we try to deal with what you throw at our son. You have tried to take my child from me. In spite of this, he shines. Through all the chaos, I can still admire his curly hair and his deep brown eyes. His eyes: so inquisitive. There is so much there. You try to block it, but I can see who he is. Creating harrowing situations that leave us in anguish. You have come close to success so many times, making us question who we are. But in those moments we fall to our knees. Praying to God to help us through each tragedy. Our son brings joy to all those whose paths he comes across. Without you, who would we be? Would our child’s accomplishments mean so much? Would his laughter and smile be as bright? You’ve made us realize: We are not here for him, he is here for us.